Kaohsiung is often called the southern capital of Taiwan. This city is a treasury of nature with famous National parks, exotic banana groves and mud volcanoes. 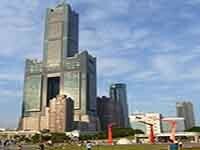 Kaohsiung is a real advanced metropolis, the whole economic and industrial potential of the country is concentrated here. В Kaohsiung is one IKEA store. Home and IKEA in it. Realistic interiors with IKEA furniture. 2009 - 2019 © www.ikea-club.org | | | IKEA is a registered trademark of Inter IKEA Systems BV | The site www.ikea-club.org has nothing to do with IKEA, IKEA.com and Inter IKEA Systems BV | The site is created by fans for fans. Any and all references to IKEA.com are provided for the convenience of the reader only and do not imply endorsement by IKEA of this website. | | | Images and texts of the description of goods are taken from the official website www.ikea.com and are the property of Inter IKEA Systems BV.